Toronto condos now cost $18,700 less than a year ago. If this becomes a trend for the next five years, maybe finally, my girlfriend and I would be able to afford a condo. A 4.7% drop in condo prices does not sound like much, but catch this, for $18,300 you can get a new Mazda 2 GS. Condo sales fell by 20% in the city of Toronto according to TREB. 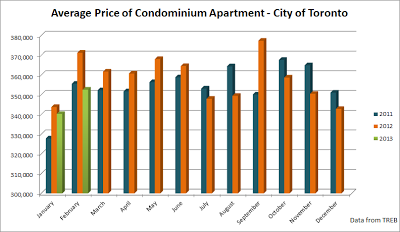 Days on the market went up from 28 in February 2012, to 35 in February 2013. 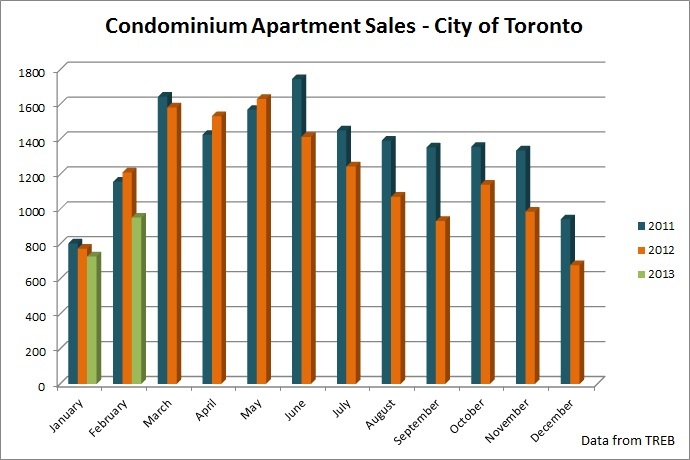 Sales volume of city condos declined by $114 million. 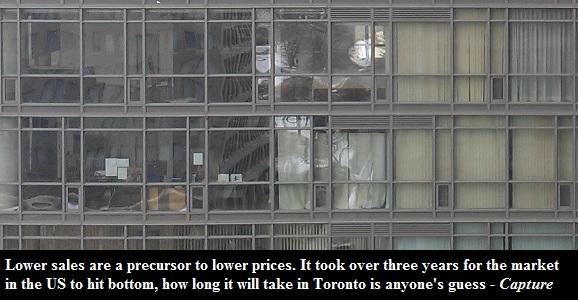 Overall, declining housing sales in the GTA will cost the region half a billion dollars in lost economic activity. This means government collecting less taxes and running higher deficits, less people renovating their places and less sales in your local Lexus dealerships. In short, this can lead to a recession.